You don’t have to design to get into Crochetvolution! If you’ve crocheted something that you think is amazing, we want to see it. 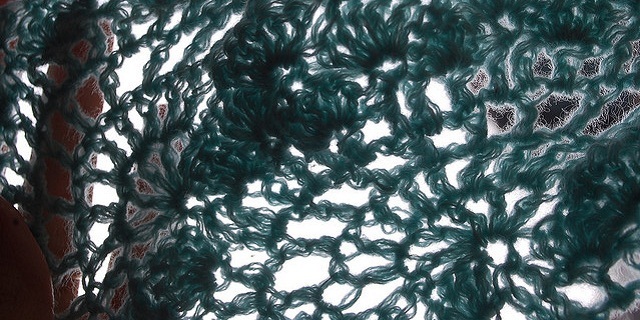 Submit your photos to the Crochet Showcase and you could see your work in our publication! There is no deadline for the Crochet Showcase – just submit your pictures and if you are accepted they will appear in the next available issue. Please send your submissions to the editor with the subject line Crochet Showcase. Please copy and paste the following text into your message, then sign it by typing your name and the date. By submitting this photograph for publication in Crochetvolution, I certify that I am the copyright holder and the original creator of this work, and that I have the right to authorize its publication. To my knowledge, I have not infringed on anyone’s copyright or intellectual property in the creation of this work. I also agree to hold Crochetvolution and all associated with it harmless from any and all expenses, losses, liabilities, damages, or third-party claims that may arise from any infringement or violation of such intellectual property rights. I hereby grant my permission for my photograph to be published in Crochetvolution in its current form and any future format in perpetuity. Please attach your photo to the email as a separate file. Large, high quality JPG files are best. A fabulous site filled with great ideas! I just wanted to say thank you for publishing the photo of my Humpty Dumpty hat. Your Crochetvolution is a fantastic magazine! The patterns in it are so nice! I will be telling everyone about it! I am working on a baby hat from your 212 spring collection (baby-belle) There is a stich that my mother and I do not know in this hat and have not been able to find it anywhere. Can you tell us what the stitch HC is? Thanks so much! we are enjoying this project! !